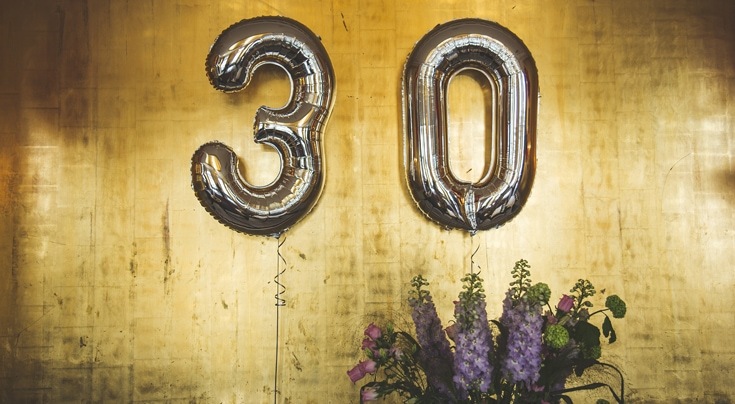 Whether you’re a ‘birthday person’ or not, there’s one year that you can’t not celebrate – turning 30. It’s that great age when you’ve (probably) matured from the ‘let’s go out on the town’ way you used to enjoy your birthday. Turning 30, chances are you want to do something a bit different. There’s plenty of different experiences you can enjoy in the Adelaide Hills. Here are five 30th birthday weekend getaway ideas for you. Which one do you like best? Let’s find out. Fun birthday weekend itineraries—no matter what season it is in the Adelaide Hills. Yep, we had to start with this one. Nothing says style more than a wine tour with your best friends. Hire a minibus for the day, leaving from your accommodation so you don’t have to worry about driving, and make a day of it. There’s so many cellar doors to choose from with Bird in Hand, the Lane, Golding Wines and Nepenthe all great sipping stops. If you’re with a group of your gals, treat them (and yourself) to a day of R&R at the spa. There’s two in Hahndorf – Senses Day Spa and Hahndorf Creek Day Spa. Get a massage, a facial, a glass of bubbly and do it all guilt-free. Love walking? Often walk up Mount Lofty with your mates? Well, why not work up a sweat and make your 20-something self proud (and earn the wine you’re about to enjoy at night). There’s plenty of hikes to choose from. Ridge Trail at Mount George Conservation Park is a 2.4 kilometre, two-hour hike through a secluded forest to the summit. Once you get to the beautiful lookout view, pull out a pre-packed, birthday picnic. What, in the Adelaide Hills? Yes. There’s a beautiful region that connects the Hills and the beach – the Fleurieu Peninsula. Hire a car and take an adventure through Mount Barker, Strathalbyn and Mount Compass then onto Victor Harbour. There’s plenty of idyllic wineries, distilleries, restaurants and boutiques on the way, so be prepared to eat, drink and shop. A lot. After all that, you can always go old-school, pick an event space designed for parties (like our award-winning convention centre) and just throw a party. This way, you have access to an event planning team and you won’t have to worry about cleaning up. Think about the presents. See, there’s so much to do in the Hills. Create your own 30th birthday weekend itinerary with some of these ideas (or all of them! ).